At SEA the Gold Coast they explore, they educate and they protect the natural treasures nature has given to us. SEA the Gold Coast is brought to you by Gold Coast Dive Adventures, a well established local diving operator that loves and lives for the ocean and plays an active role in protecting it for future generations. So come and join them on some amazing adventures, memories you will never forget. They would love to share their insanely cool Gold Coast ocean encounters with non-diving ocean lovers. 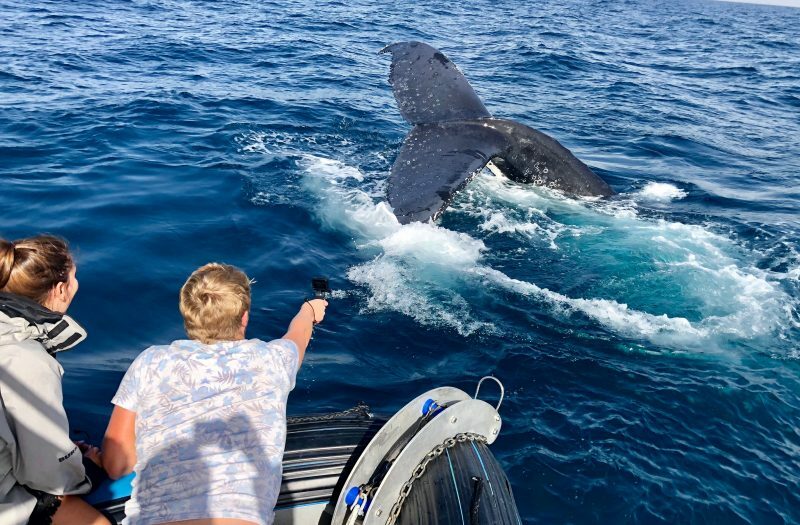 They offer unique, private whale watching and research tours during the winter months, including wildlife trips to South Stradbroke Island as well as Broadwater cruises, showcasing the magnificent skyline views of Surfers Paradise. Their SEA The Gold Coast adventures are a dream for every amateur and professional photographer alike and they are an absolute personalised experience on a small vessel. This land based mini bus tour will get you to visit the best hidden scenic coastal lookouts which provide spectacular ocean, nature and skyline views along with the best beaches away from the tourist crowds. 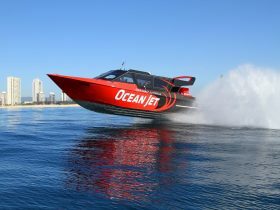 They will head along the waterfront to the Spit, the Gold Coast’s Central Park. Walk onto the 500 metre long Sand Bypass Jetty to view the skyline and the ocean, explore Federation Walk and the Broadwater side of the Spit. They will then visit the beach at Phillip Park for some great nature shots, one of the quietest and most deserted beach sections. Heading back to Surfers Paradise, the tour will conclude with a visit of Q1 Skypoint Observation Deck, 230 metres above sea level, offering 360 degree views. This 2.5 hour adventure is an absolute personalised experience on a small vessel with a maximum of eight participants. 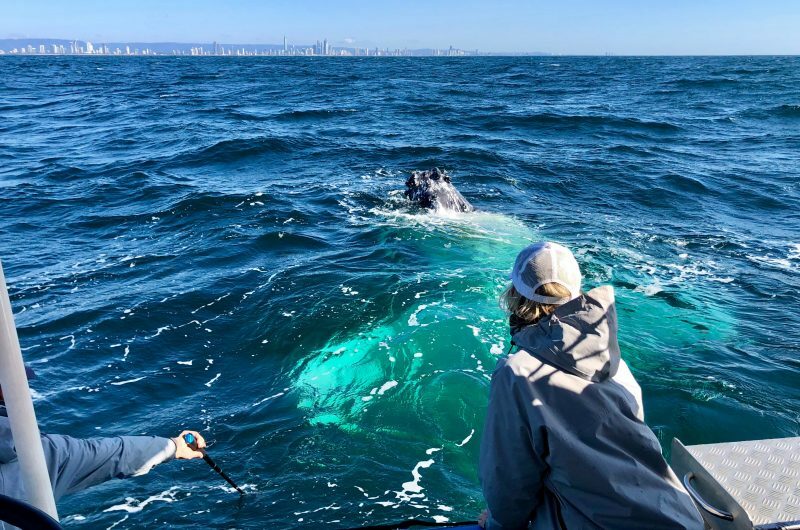 The spectators can look forward to closer and longer encounters as humpback whales do not feel intimated by a smaller vessel. The outer tubes of their semi inflatable vessel are only 50 centimetres above the water surface which even allows to submerge your water proof camera on passing whales for some great underwater shots. Whilst no vessel is allowed to approach whales closer than 100 metres, their experience shows that the whales are usually approaching them whilst their engines are turned off and the vessel drifts through the water. For this very reason, their vessel is frequently chartered by research groups to conduct field surveys and sampling. 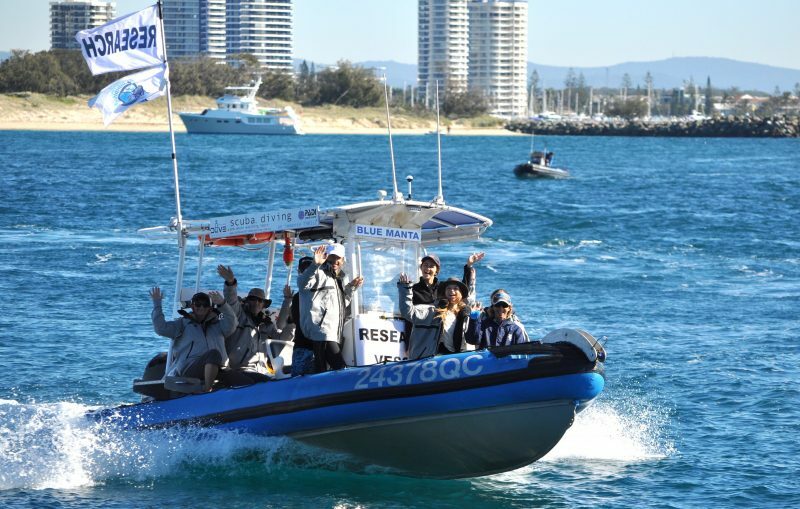 On this tour, you will board their fast six metre adventure boat in a small group with only four to eight other participants to explore the Gold Coast Broadwater and the beautiful South Stradbroke Island, an untouched conservation park right at our doorstep. 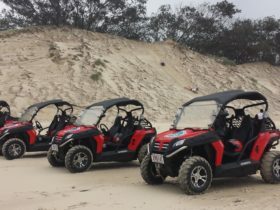 Their environmental permits allow them to guide you across the island with the high chance to spot wallabies, kangaroos, koalas and shore birds in their natural habitat. Enjoy the chance to see dolphins, rays or turtles and rare birds whilst cruising through the Broadwater on their vessel. At the end of the tour, they will take you to Tipplers cafe for a cold drink, coffee, tea or snack.